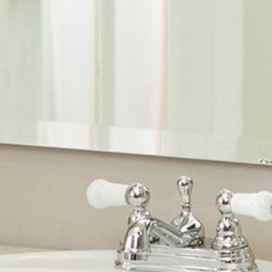 Finding good and cheap Brisbane bathroom mirrors should never be a challenge, and thanks to quality suppliers continually working at mastering their craft, it’s not. Bathrooms used to be a forgotten room in the home, a place that was used functionally only, but that’s changed in recent years. 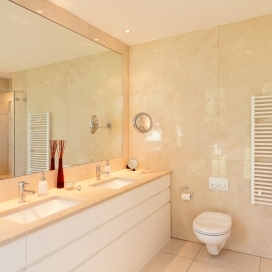 Now, bathrooms have increasingly become a focal point in the home with designers paying special attention to them. 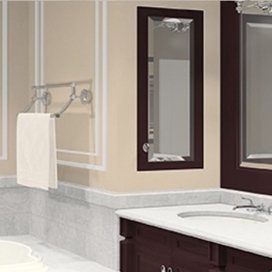 Every bathroom contains a mirror, but not every mirror is as utilized as best as can possibly be. 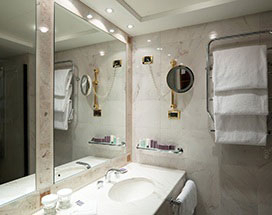 The Bathroom Vanity Mirror, one of the hallmarks of a bathroom, has always been placed above the sink so people can see their faces when washing them, applying makeup, doing their hair, shaving or practicing oral hygiene. Or, in other words, for vanity. 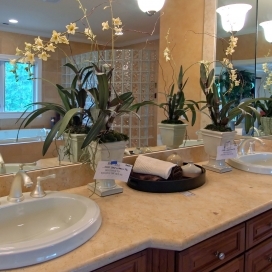 This isn’t necessarily a bad thing, as bathroom vanity mirrors are essential for making oneself look as good as possible, but homeowners have realized mirrors are capable of so much more. One of the amazing things mirrors do best is work with artificial and natural light to magnify it. A custom designed bathroom mirror should have the correct framing and shape necessary to take in light from all available window spaces no matter the size, and then reflect it around the bathroom room for added brightness. 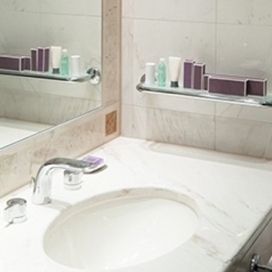 Colour plays a huge role in selecting the type of mirror for your bathroom, especially with small bathrooms. Because you don’t have a lot of space to work with, you have to be creative in maximizing every inch of available space to really capture the magic mirrors can bring. A monochromatic colour scheme in the bathroom is essential in reaching the potential that mirrors can bring, so pick one colour for your bathroom and work off it using shades and hues (tip: neutral tones and soft hues work best). This is because the colour won’t be competing with your eye or anything else in the room for attention, letting the mirror do all its work in brightening and enlarging the space. If you’ve got a large bathroom, lucky you! You have much more freedom and flexibility in the mirrors you can use, such as opting for a thicker frame or using a frame with a contrasting colour. Proportion is key You don’t want a mirror that’s too big for your bathroom, and nor do you want one that’s too small. Use one that roughly fits the width of your counter, or where the counter would be if you have a freestanding sink. In terms of height, you want your mirror to start at about the top of the faucet handles, and finish about a foot from the ceiling. Shape Bathroom mirrors have either straight or rounded edges, and you can use either, depending on the look you’re trying to achieve. Offsetting the mirror shape with everything else in the bathroom creates an avant-garde look, while keeping them the same creates unity. It’s usually easier to match the two, as then you don’t have to worry about a jarring aesthetic. Colour Depending on the dominant colour in your bathroom, the choice of frame colour can either enhance or blend with everything else. If you want to “trap” the colour on your wall, pick a frame with a different colour; if you want a subtler look, match the wall colour either exactly or by being a few shades off. Whatever you decide, make sure to stay in either the “warm” or “cool” colour group. Framing You can use a frame around your Brisbane bathroom mirror, but it should be a thin one. And unless your bathroom has a vintage or antique aesthetic to it, keep the frame neat, sleek and streamlined (e.g. thin and metallic).